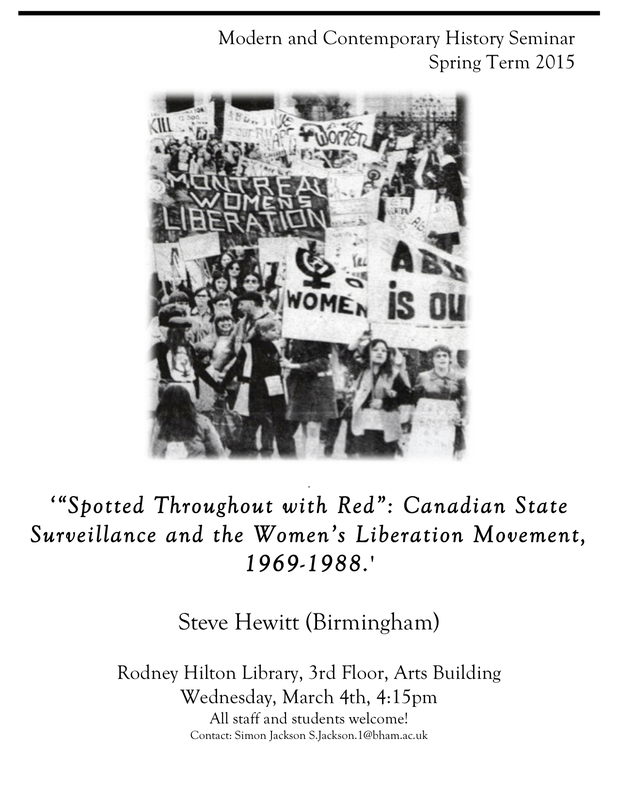 In the first of a series of occasional pieces by speakers in the Modern & Contemporary History Research seminar series, Dr. Steve Hewitt (Birmingham) reflects on the history of state surveillance ahead of his talk on Wednesday. Surveillance does not affect everyone equally. Since Edward Snowden made his initial flight to Hong Kong with a treasure trove of documents digitally stuffed in his computer, stories about the surveillance reach of the modern technological state have abounded and continue to appear on a regular basis. By User:Mattes (Own work) [Public domain], via Wikimedia Commons. Some accounts focus on generalized surveillance on a global scale; others emerge as of particular interest to certain nations. The latter includes the case of Canada and the Communications Security Establishment Canada (CSEC) trial involving intercepting Wi-Fi transmissions at a Canadian airport. Another example is GCHQ carrying out intercepts in the United Kingdom without seeking a warrant to do so. There is a clear fascination with the technology and the scale of the surveillance and the notion that the risk is equivalent for all of us. The key practice here is that of producing coded categories through which persons and groups of persons may be sorted. If personal data can be extracted, combined, and extrapolated in order to create profiles of potential consumers for targeted marketing purposes, then, by a similar logic, such data can be similarly processed in order to identify and isolate groups and persons that may be thought of as potential perpetrators of “terrorist” acts. 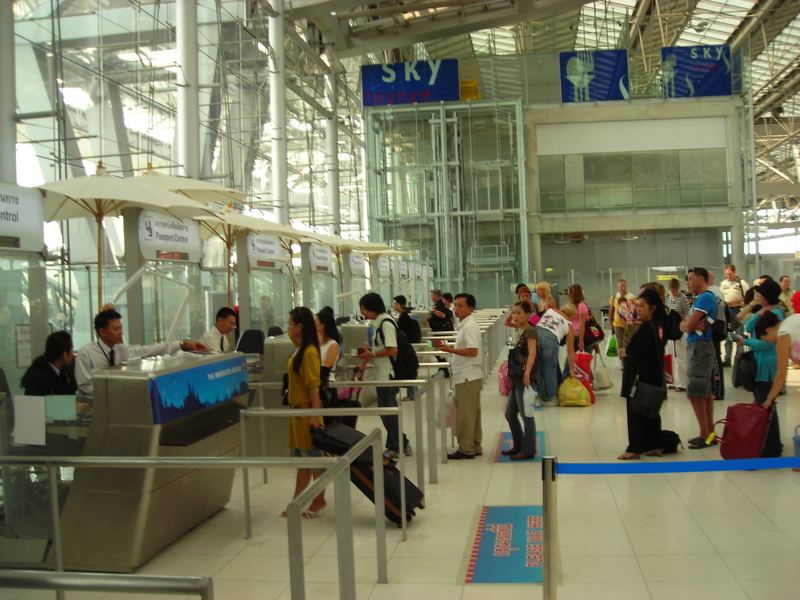 Such “social sorting” has become a standard way of discriminating between different persons and groups for the purposes of providing differential treatment (whether this is encouraging certain classes of consumer to believe that they are eligible for certain exclusive benefits, for example, through club registration and membership, or facilitating or restricting traffic flow though airports by reference to watch lists and APNR data). To put it in more real world terms, I as a white Euro-Canadian middle class male, of slightly left-of-centre political views and agnostic religious beliefs, have little to fear from blanket surveillance. Conversely, a change to one or several of those characteristics, such as religious belief, and suddenly a convergence can occur with the characteristics of a marginalized category, which has been mapped onto a “threat” by the structures of power. As a result, this shift can lead to far more intrusive surveillance and direct consequences, as opposed to simply the collection of data. A double standard exists then, in terms of who is generally on the receiving end of intrusions from the state versus what actually gets public attention. One can even see such dynamics at work around the Snowden leak. When David Miranda, the husband of journalist Glenn Greenwald who broke the Snowden story, was detained in 2013, under Schedule 7 of the Terrorism Act 2000, for several hours of questioning at Heathrow Airport, there was a widespread outcry among the media, civil libertarians, and politicians. Receiving far less attention or response was a subsequent Guardian story revealing that 56,000 people had been detained the same way in 2012. It is not hard to guess at the dominant characteristics of those tens of thousands who found themselves detained for questioning under Schedule 7. Accordingly then, certain groups and individuals have long been subjected to more intrusive surveillance and very serious consequences because of their ideology, race and ethnicity, gender or sexuality, religion or nationality – or some combination of these factors. At one time during the Cold War such attention was generated under the official rubric of counter-subversion. Since 9/11, meanwhile, the justification has become counter-terrorism or counter-extremism. Hence, the phenomenon is not new, although arguably, thanks to technology, the scale of what the state can collect has vastly increased. David Lyon, “Surveillance as social sorting: Computer codes and mobile bodies,” in David Lyon, ed, Surveillance as Social Sorting: Privacy, Risk and Automated Discrimination (New York: Routledge, 2005) at 16. David Lyon, “Airport Screening, Surveillance, and Social Sorting: Canadian Responses to 9/11 in Context” (2006) 48:3 Can J Corr 404. 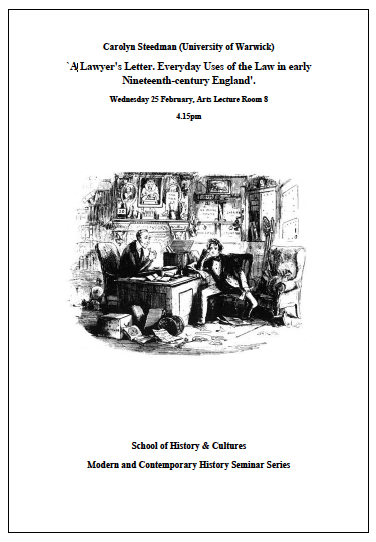 As there is no research seminar this Reading Week, here is a link to one of those archival breakthrough moments, to keep all our MA students inspired as they look ahead to dissertations. Abstract: Early twentieth century Britain was a maritime and imperial power ill prepared to fight a large continental conflict. Throughout the pre-war period there were a number of discussions of grand strategy in the event of war with Germany. However, no decisions were reached. Even after the British Expeditionary Force was committed to France in 1914 there was still a serious debate as to the type of war Britain should fight. This paper will look at the plans drawn up by the Royal Navy to follow a “British Way in Warfare” in executing the conflict against Germany. In particular it will explore the differing and at times contradictory plans to engage in littoral warfare against the German North Sea coast and those seeking to break into the Baltic. In doing so it will shed light on the difficult relations between the Admiralty and the rest of the government and the tensions within the Admiralty in particular those between Lord Fisher and Winston Churchill.